I have always been a sucker for a cute dress with an awesome pattern. This dress from Sheinside.com is no exception. I fell in love with the shape and print of the dress instantly and knew that it would fit perfectly into my wardrobe. Because the dress really stands out, I didn’t want to add too much colour to the rest of the outfit. 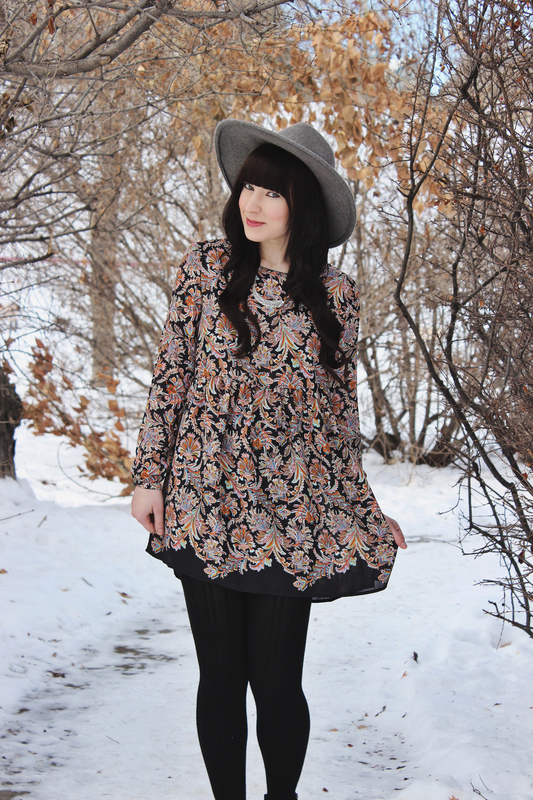 I wore one of my favourite Goorin Bros hats and my Steve Madden booties that I find add a little something extra to everything I wear them with. you look amazing and the dress is fab!